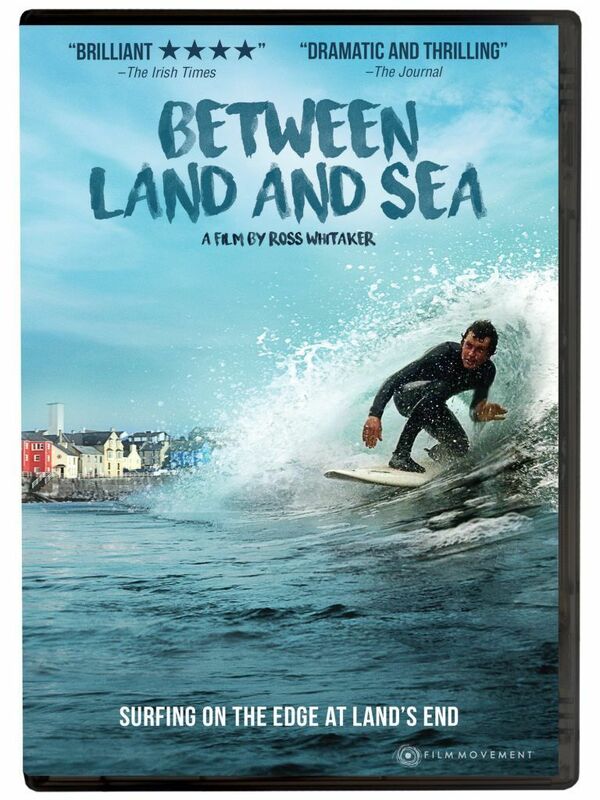 For Ollie O'Flaherty, who is just one of a handful of Irish surfers at the heart of Ross Whitaker's fascinating documentary Between Land and Sea, the patience you need to find, charge at, and ride just the right wave, "is what makes it so addicting." In the Atlantic surf town of Lahinch on Liscannor Bay on the northwest corner of County Clare, Ireland, which is like as O'Flaherty muses "having a playground on [his]...doorstep, only my playground is the ocean," Whitaker and his crew took his advice on patience literally while chronicling a year in the life of a core group of surfers and their loved ones. Similar to the way O'Flaherty says the ocean "can offer the wave of a lifetime in the best amphitheater in the world but everywhere you look there's danger," each year the community virtually closes down for winter until Easter when the locals hope to make enough money from tourists to get by until the following year. Although it might not have the same impact as a couple hundred feet of water hitting a fifteen foot shelf, given not only the ever-dwindling amount of travelers as well as the number of different pop-up shops selling beautifully handcrafted boards and gear as well as surf schools, it can hit residents supporting themselves as well as their loved ones on that income just as hard. Introducing us to a couple of men who run surf related businesses such as Lahinch Surf Experience and Lahinch Surf School where a few current and former pro surfers (including O'Flaherty) moonlight as instructors, Whitaker gives us a good reason why some places close down in winter as one year earlier in a bad storm, the waves did twenty-three million pounds of damage to local businesses. Having either aged out of the sport or embarked on a different endeavor, we're first introduced to Tom Doidge-Harrison, who, despite acknowledging that "some things in life have slipped by" him, has settled into a cozy life with his beautiful pregnant wife and daughter. 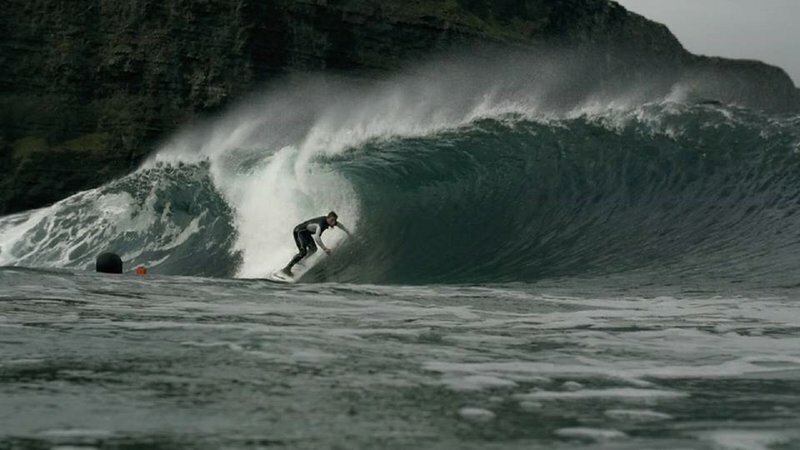 Trained as a mining engineer which he does for money and to enable him to make surfboards for enjoyment, Tom's wife Raquel has also had to think outside the box since leaving her home in Bristol by using her scientific background to make handmade soaps as she was unable to find something in her field in Lahinch. While we don't exactly know if Raquel's soap-making is for money and/or enjoyment, by including her story alongside her husband's, it's a subtle study of contrasts and similarities and part of what makes the observational documentary so compelling on a human level. One of many people looking for new purpose, having walked away from the life of a professional surfer where he spent too much time chasing sponsors, Australian Fergal Smith has returned to his roots growing up on an organic farm. And over the course of the year captured in Whitaker's observational documentary, Fergal embarks on perhaps the biggest risk captured either on or off the ocean as he and his wife and child put everything into the soil and live in a yurt while waiting for both their venture and crops to grow. Of course, you don't check out a surfing documentary if you aren't interested in surfing. 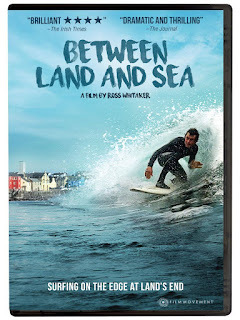 Yet while Whitaker is far more focused on a fly-on-the-wall approach in making the viewer feel like an honorary Lahinch resident for its ninety-four minute running time, the film's surf's scenes (directed by Kev I Smith and featuring a cameo by Hawaiian big wave legend Shane Dorian and crew) are quite thrilling to watch. With the breathtaking backdrop of Ireland's cliffs by the sea, whenever the lens zeroes in on a color deeper than the shades we mostly see of mossy green, brown soil, and saltwater blue, we're immediately taken in and Land and Sea delivers on this front repeatedly – alternating from orange red skies to later on, a rainbow streaking across the sky. Released by Film Movement, admittedly, this highly recommended slice-of-life documentary might bore viewers reared on traditional stunt filled sports documentaries geared toward those with the shortest of attention spans. Less like a feature length music video, Land is more reminiscent in spirit of director Michael Apted's Up series, which was an obvious influence on Hoop Dreams director Steve James, whose work seems to have in turn inspired Whitaker. 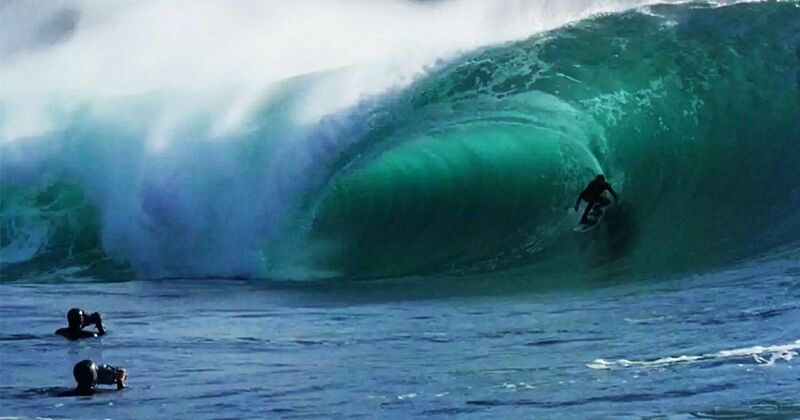 The end result makes this one wave you'll definitely want to take, as long as that you have the patience to learn not only what makes it so stimulating for the surfers but also what's at stake.